Setting a new benchmark in placements, Indian Institute of Technology, Kanpur (IIT-K) has witnessed more than 85 per cent of its students getting offers placed during the year-end placements process this week. Unicorns, including Flipkart, Myntra, Zomato, Oyo Rooms etc were among those who visited the campus for recruitment. The placements spanned varied sectors, including software and data profiles, analytics, core engineering, database management, ecommerce etc. The 1,045 students registered with the placements cell of IIT-K were made a total of 990 job offers by 238 companies, many of whom were first time headhunters on the campus. “We had a much better placement season this year compared to last year with almost 15% more placements so far. In fact, we managed to perform better than other IITs in terms of the number of job offers and recruiters, apart from the placements ratio,” IIT-K students’ placement office chairman Syam Nair told Business Standard. The second phase of placements would take place by mid January 2019. “International participation in the placements process was also good and we had companies including Microsoft, Jumio, Graviton, Yahoo! Japan, Uber, Rubrik and WalmartLabs arriving for recruitments,” he informed. First timers on the IIT-K campus included Quadeye, Zomato Opeations, Oyo Rooms etc. Meanwhile, he observed since the placement was a market driven process, the encouraging job offer matrix was indicative of the domestic economy slowing picking up steam. “While, the quality of placements was definitely good this round, the Institute was successful in the placements during the last two years as well, when the general sentiments were rather subdued,” Nair underlined. 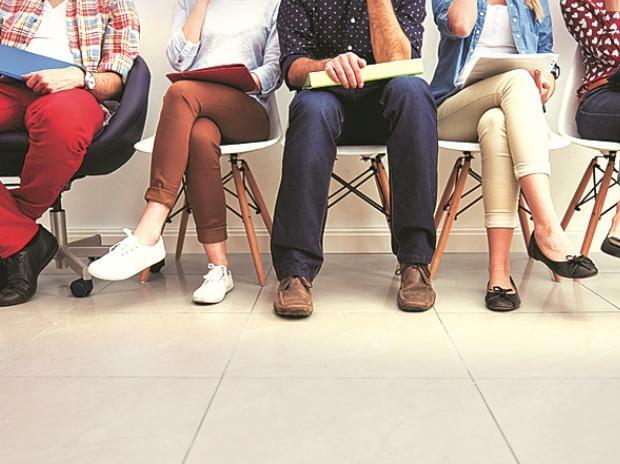 Meanwhile, dual-degree holders scored better in placements cornering almost 97% of the total job offers compared to 83 per cent of simple graduates. A few students also received salary packages of more than Rs 10 million. In the latest QS World University Rankings 2019, IIT-K was placed at 283 position compared to the last edition rank of 293. After scoring the peak rank of 271 in 2016, IIT-K had slid to 302 in 2017 before making a comeback of sorts. The Institute had attributed the improved world rankings to the ‘strong’ academic faculty staff, which was also evident from the QS notation of ‘Citations per Faculty’ at a decent level of 75.6. Besides, QS marked its Research Output as ‘Very high’ too. However, the areas where the Institute continues to work, includes International Faculty Ratio (2.1) and International Student Ratio (1.4) by attracting more faculty/students from overseas. At the Annual Convocation 2018, the Institute had awarded 1,576 degrees, including 186 PhDs. It reported steady growth in R&D activities totalling Rs 10 billion, 626 externally-funded projects with sanctioned amount of Rs 7.95 billion; 179 sponsored projects worth Rs 1.82 billion; and 128 consultancy projects worth Rs 230 million.